Peter Bogdanovich has enjoyed a remarkably balanced career as both a film historian and acclaimed moviemaker. 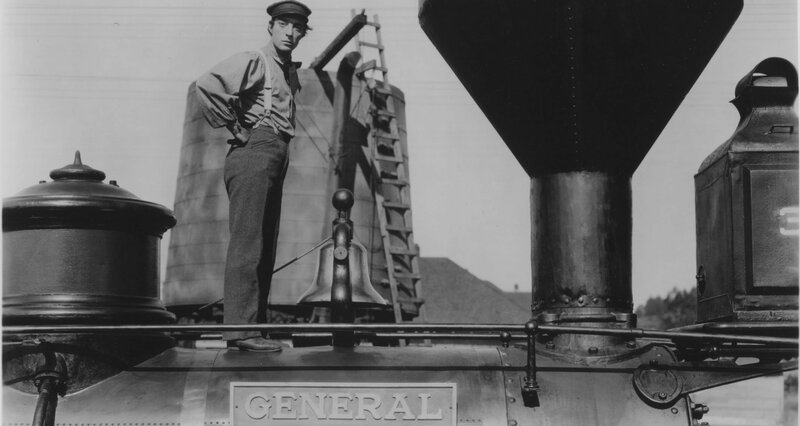 His latest documentary, The Great Buster: A Celebration, combines these two areas of expertise to deliver a jubilant tribute of Buster Keaton’s masterful blend of physical comedy and silent-era acting. 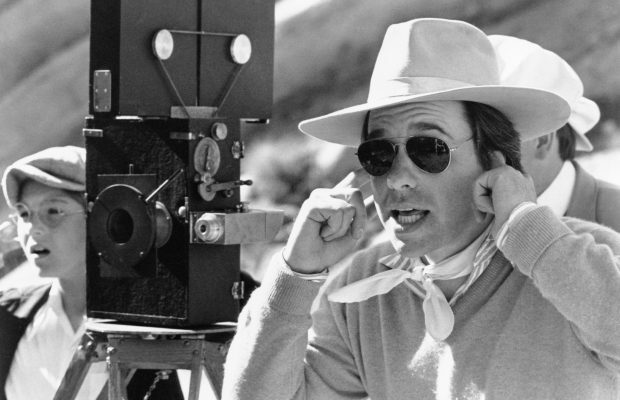 Bogdanovich’s earnest enthusiasm for Keaton’s mastery as both actor and director is contagious, as his playful narration takes audiences through Keaton’s life and filmography sequence by sequence. On the eve of this documentary, the Quad Cinema in New York is hosting a retrospective of Bogdanovich’s varied filmography, followed by a retrospective of Buster Keaton’s restored classics. 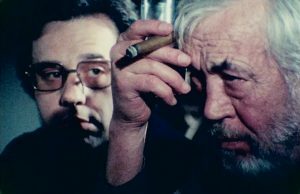 Capping off Bogdanovich’s busy Fall season is Netflix’s much discussed The Other Side of the Wind, Orson Welles’ long-lost Hollywood satire, where a young Bognavoich stars as a director’s protégé. 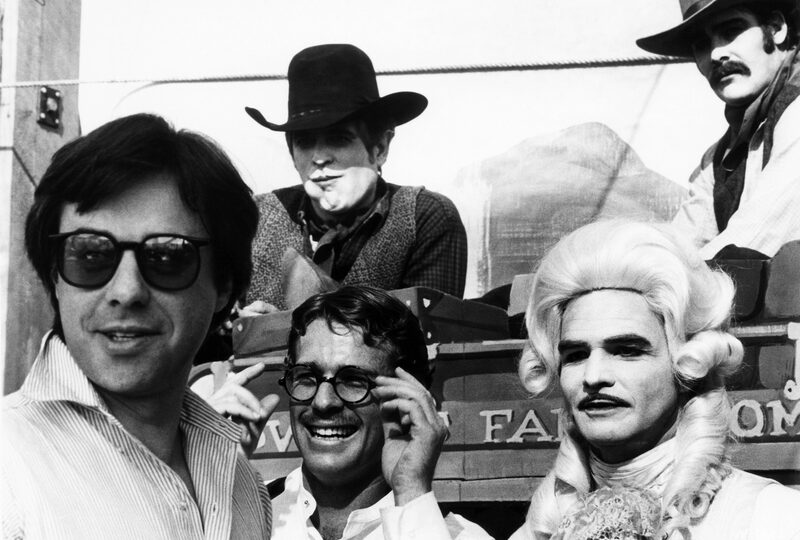 MovieMaker spoke with Bogdanovich about the lessons to be learned from the studio system era, the difference between homage and stealing a shot, and forcing the press to watch comedies with an audience. Caleb Hammond, MovieMaker Magazine (MM): Where you do see the intersection of film scholarship and moviemaking? Peter Bogdanovich (PB): It’s a two-fold reason for doing all of this: One was to learn, and the other was to teach. It’s what I’ve been doing for years. I wanted to learn about filmmaking from people I’ve admired who have done it, because I had planned to make some films myself. It was also to popularize those directors who I thought were the best or the most interesting, and to try to bring enthusiasm to people who maybe don’t know that much about their pictures. Cybill Shepherd and the late Burt Reynolds in At Long Last Love, image courtesy of 20th Century Fox Film Corp. and Everett Collection. MM: When you’re making your own films, what elements from the wealth of films you love and have studied do you use? Is it an emotion you got while watching the film, direct scenes, or storytelling elements? PB: It’s really storytelling and structure and instruction. For example, when we were shooting Paper Moon, in Kansas and Missouri, the script didn’t have a good ending. We couldn’t end the movie the way the book ended because there was a whole section of the book we didn’t do. I ended the picture the way I did because I remembered what Leo McCarey had said about paying off a joke. All the older directors, particularly those who made comedies, would say, “You have to pay off the joke.” Usually they built them in fours: one laugh, two laughs, three laughs, and then the last is funnier than all of them. So when I was finishing Paper Moon, I realized we hadn’t paid off the $200. She [Tatum O’Neal] came up with the line, “You still owe me $200,” and so that solution was ideal. Then we hadn’t paid off the photograph that was taken in the carnival, so we paid that off. I don’t think I would’ve realized what I was missing unless I had spoken to McCarey. Although the hill at the end says it’s in Missouri, we were in Kansas. I think it was the only hill in Kansas. We had a photograph of it, that Frank Marshall or Polly [Platt] had taken and they said, “We don’t know what this is for, but it’s a good road.” So when I was trying to figure out how to end the picture, we were preparing to leave Kansas. I said, “I’m going to figure this out. That hill is a good last shot.” It all sort of fell into place after I realized we hadn’t paid off the $200, including the fact that the brakes on the truck didn’t work, so the truck rolled without them. MM: How does an aspiring filmmaker balance their influences between consuming classic cinema and other mediums? PB: One thing I’d tell aspiring filmmakers is to spend a couple of years not looking at anything made after 1962. When the studio system collapsed a lot of good things were lost, and lot of great things were made between 1915-1962 or ’63. All that was under the studio system, which actually was brilliant. It was seven or eight major studios that were like huge stock companies, with actors under contract and writers under contract, everybody under contract. It was a way to make a product that you could control, and you had all the ingredients to make that film. Take a look at Casablanca for example, which they were writing right up until they finished shooting. You say, “Jesus Christ, Look at that cast!” And they were all under contract, except Ingrid [Bergman]. You don’t have that today. The other thing is what’s been forgotten is that with the original movie stars, like Carey Grant, Jimmy Stewart, or John Wayne, the idea was to erase as much as possible the line between the character and the actor. So they didn’t seem to be acting—they seemed to be existing. That’s the difference between movie acting and theater acting. Theater is acting, and movie acting should be “being.” What happened was that at the same time the system collapsed, actors were being influenced by Marlon Brando, who definitively did not want to be playing roles the same way from picture to picture. Neither did Carey Grant, by the way, but it wasn’t as obvious with Carey Grant as it was with someone like Marlon. All the actors wanted to be versatile like Marlon. The irony is that Marlon had very definite personality, that star personality, despite the multiplicity of his disguises. 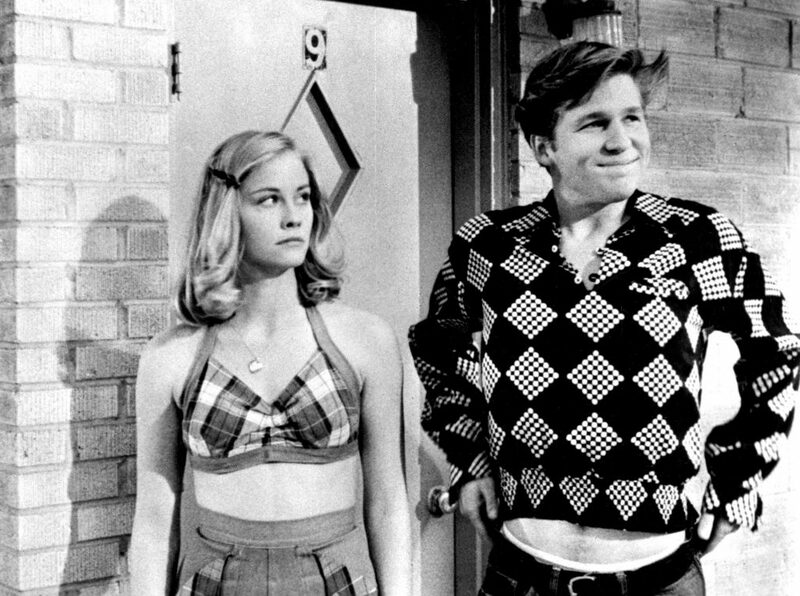 Cybill Shepherd in her breakout role alongside a young Jeff Bridges in The Last Picture Show, image courtesy of Columbia Pictures. MM: Filmmaking is a young medium compared to other art mediums. 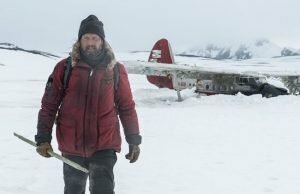 Have we reached a peak for formal innovation with our idea of contemporary cinema? PB: We’re in a period of decadence to be honest in virtually all the arts. Painting isn’t what it used to be. Novels aren’t what they used to be in the 19th century. Movies have fallen into decadence as well. Robert Graves, who was one of the great writers of the 20th century, said that before he wrote a poem he thought to himself, “Is this poem necessary?” That’s a question that a lot of filmmakers should be asking themselves. “Is this movie necessary?” The answer would be “no” in almost every case. MM: Talk about your new Buster Keaton documentary and how his career has influenced your career. What’s Up Doc? obviously being a strong indicator of his footprint. PB: In What’s Up Doc? we referred to the chase as a Buster Keaton chase, because some of the jokes were very Buster Keaton-ish, like the garbage cans rolling after the guy. Buster Keaton was brilliant, not just with chases but with anything to do with comedy. He was a master: a great actor and a great director at comedy. He did have a kind of melancholy; he never smiled really. I don’t know if I was influenced by that particularly. There’s a guy who did a book about me in France that’s coming out this year, Cinema as Elegy, and some of my films are elegiac. I don’t know why, but I’ve had that slight melancholic feeling, where the best is temporary and the good times go away. Seeing a movie in an audience versus your living room makes a huge difference, particularly if it’s a comedy. When we were releasing What’s Up Doc? I told the studio, “I don’t want anybody watching this picture alone in a screening room. The screening room has to seat at least 100 people. We even made the New York Times go to the Loews State or wherever it was playing to see it with an audience. It’s a huge difference. There’s nothing like a comedy with an audience. MM: Do you keep up with contemporary cinema? PB: I go to see new films if I hear enough about them—I want to see what everybody’s talking about, or if I’m particularly interested in a particular actor or director. Pictures ain’t like they used to be, that’s for sure. 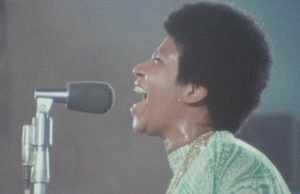 Quad Cinema’s retrospective, Movie Love: Pictures by Peter Bogdanovich, runs September 28-October 4, 2018 in New York City. The Great Buster: A Celebration opens in New York October 5, 2018, followed by Los Angeles October 19, 2018, courtesy of Cohen Media Group.